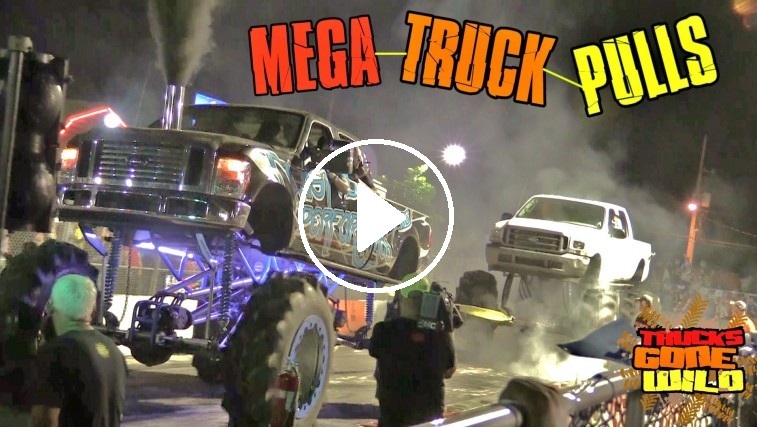 We have seen a ton of tug of war competitions in our seven years of filming the world of mega trucks. They can be the most boring runs or the most epic all depending on the drivers. No one wants to see both competitors standing on the brakes and barely using any throttle. This time we were at Cowboy’s Orlando in Florida for their Extreme Tug of War Competition. When this Jeep pulled up to go against a much heavier super duty we just knew he was going to lose. To our surprise the driver of the Jeep in this video knows how to do an extreme tug of war competition and as soon as the official gives him the green light he floors it letting the V8 under the Jeep’s hood come to life as it instantly lights up the tires. This catches the driver of the mega truck off guard as the jeep’s massive turf tamer tires heat up and start to gain traction. The Jeep goes back and forth all over the course never once lifting off of the gas and winning the round. Well the mega ford driver won’t let that happen again and in the next round as soon as the Jeep breaks traction he pulls him out the other end with ease. If it was up to us the first rule of Extreme Tug of War would be both drivers have to go wide open throttle until there is a winner. Now that would be fun to watch! Until they let us make the rules we will just keep catching the few epic passes. For more Tug of War Action check out the Busted Knuckle Video Youtube Channel. Check out the entire Tug of War event from Cowboys in the video below.